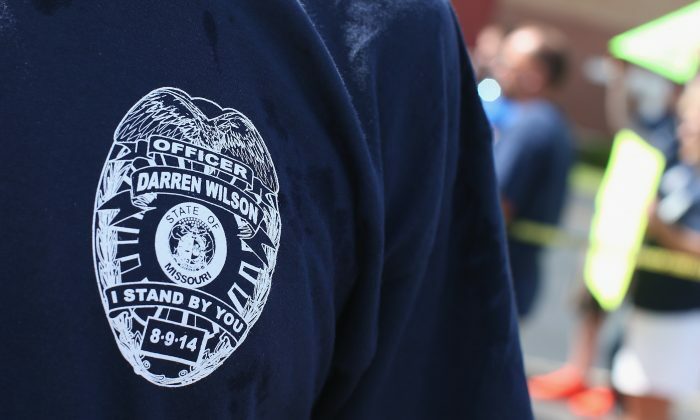 Photos that purport to be of Darren Wilson with serious face injuries are fake. The real photos of Wilson came out on Monday night, showing his injuries. A few months ago, Fox News reported that he suffered a broken eye socket, which was later refuted by CNN and other media outlets. FERGUSON, Mo. (AP) — Missouri’s governor ordered more National Guardsmen into Ferguson on Tuesday to keep order after a night of violence over the grand jury decision in the police shooting of Michael Brown, as attorneys for the Brown family blasted the authorities’ handling of the case. Smoke billowed from burned-out Ferguson businesses on Tuesday and glass littered the sidewalks from display windows that were smashed during the protests that erupted after it was announced that police Officer Darren Wilson wouldn’t be indicted for killing Brown on Aug. 9. Monday night’s protests were far more destructive than any of those that followed Brown’s death, with more than a dozen businesses badly damaged or destroyed. Authorities reported hearing hundreds of gunshots, which for a time prevented fire crews from fighting the flames. Gov. Jay Nixon issued a statement saying he was calling in more National Guard troops to assist law enforcement in Ferguson, but he didn’t say how many additional troops or how long they would remain. At least 18 people were injured and sought treatment at area hospitals, including someone who was shot and recovering Tuesday at SSM DePaul Health Center. The hospital didn’t give any details about the shooting. Two other people were admitted to Barnes-Jewish Hospital for undisclosed injuries. Everyone else was treated and released.